With America’s infrastructure growing stronger as it rebounds from the recession, the need for diesel-powered vehicles increases exponentially as more companies utilize diesel-powered vehicles to transport supplies to retailers across the nation. From shipping yards to trucking companies, individuals who wish begin a new career as a diesel mechanic have various career opportunities in New Jersey’s booming diesel industry, providing them with job stability in today’s recovering economy. Like most schools in America, diesel mechanic programs in New Jersey require students to complete certain educational prerequisites before they are eligible for enrollment at the school. Whether it is a community, vocational, or technical college, students entering into the field of diesel technology need to first earn their high school diploma or GED. More stringent schools require potential students to fulfill additional prerequisites, demanding students to complete two years of science and math as well as four years of English before enrolling in a diesel mechanic program. 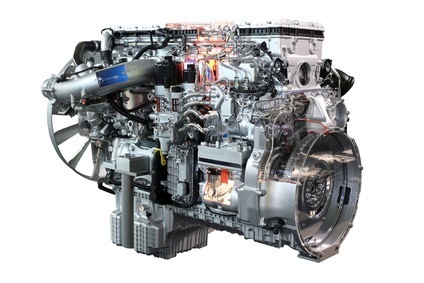 Because of the continuing advancements in the technology for diesel-powered engines, more and more companies prefer hiring those who have earned a certificate or degree in diesel technology. Some mechanic companies hire those who have several years of work experience in lieu of a degree, while others implement specialty training courses to train their mechanics in the latest techniques of diesel repair and maintenance. Diesel mechanics who wish to ascertain a higher paying or more prestigious position in the mechanic industry need to earn a degree in diesel technology at an accredited college in New Jersey. Accredited diesel mechanic programs will prepare students for further certification once they have successfully graduated from the program. As a highly recognized governing organization on accreditation, the National Automotive Technicians Education Foundation (NATEF) makes sure that qualifying diesel mechanic programs in New Jersey meet the national standards. Individuals who wish to find a higher paying position when they first start out in this career need to earn an Associate of Science in Diesel Technology, which takes approximately two years of full-time courses to complete. When earning an associate’s degree, students will utilize both hands-on experience and classroom instruction to develop their ability to successfully diagnose and repair potential mechanical malfunctions on diesel-powered engines. For more studious individuals, the Bachelor of Science in Diesel Technology requires students to take a minimum of four years of full-time courses. Those who wish to climb up the corporate ladder at a mechanic company in New Jersey will need to earn a bachelor’s degree, preparing them for management roles. At this time, New Jersey does not require diesel mechanics to earn special certification in order to work legally in the state. To increase one’s chances of getting hired on by an upstanding company in New Jersey, diesel mechanics who have graduated from an accredited diesel technology program can certify in a specific sector of this industry by taking the qualifying exam through the National Institute for Automotive Service Excellence (ASE), which will test the mechanics’ ability to maintain and repair steering systems, diesel engines, brakes, and electrical systems. Most companies in New Jersey pay those who have certified in diesel technology a higher salary. According to a 2010 report released by the Bureau of Labor Statistics (BLS), approximately 7,020 diesel mechanics work in New Jersey, with the average annual salary being $50,850. Diesel mechanics in the lowest 10th percentile make about $34,430 annually, and those in the highest 10th percentile make around $69,350 annually. General Freight Trucking: Diesel mechanics who work for large freight companies ensure the diesel-powered trucks are functioning at optimal performance levels. Coastal Transportation: Many companies transport goods and supplies across the water, requiring diesel mechanics to repair any malfunctions that develop during transit. Urban Transit Systems: Americans are becoming more conscious of the environment and are utilizing public transportation to travel to larger cities. Diesel mechanics repair and service the fleets owned by the municipalities. With more and more companies using diesel-powered engines instead of gasoline engines to fuel their vehicles, diesel mechanics can find new career opportunities in New Jersey’s mechanic industry. Aspiring diesel mechanics who wish to take advantage of the projected employment growth in this field of expertise should contemplate earning a certificate or degree in diesel technology to increase their chances of ascertaining a higher paying salary at an upstanding company.